Even the presence of an operation the size of E. Guigal in the center of town is inconspicuous. Finally stepping through their doors, the bottling line was roaring with their trusty Côtes-du-Rhône that gets filled three times per week and shipped to the four corners of the Earth. But you wouldn't know it from outside. The cellars below are a labyrinth with a tunnel that goes under the road from their original family cellar to the larger facility that is necessitated by their vast and prestigious holdings of estate vineyards of the Northern Rhône as well as the negociant bottlings of both the Northern and Southern Rhône. The highlight of the visit is of course tasting through Guigal's superlative estate lineup in front of their large, decoratively carved casks in the spacious modern cellar. I explored the 10-hectare estate of Domaine Garon, a producer whose wines K&L first carried with their recent (and celebrated) 2015 vintage. Kévin Garon's family winery sits beside the base of the Côte Blonde. 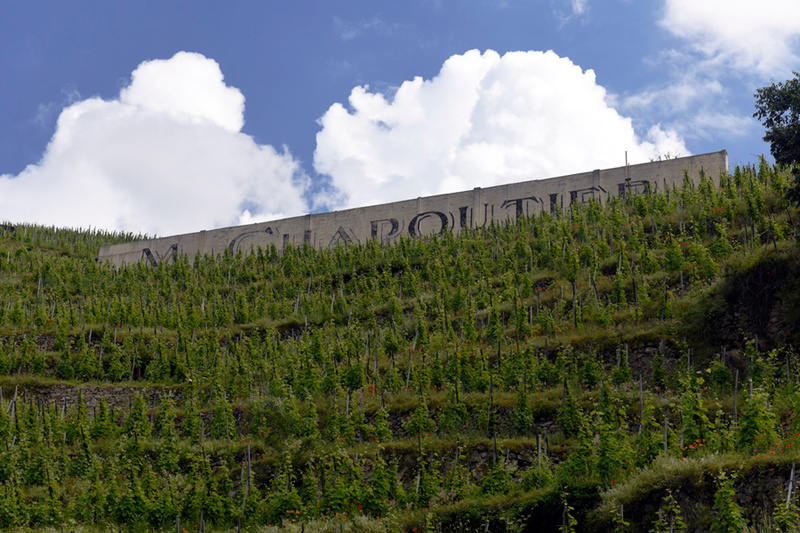 Vine holdings surround their facility and their most important terroir in the Lancement lieu-dit, which sits higher on the slope above. He demonstrated his vine-training and cultivation with the philosophy that the wines are made in the vineyard. With a new cellar that was built and outfitted with new equipment in the last five years, Domaine Garon is an estate to watch with each coming vintage. The bottled 2016 vintage shows tremendous freshness and purity which will be earlier-drinking than 2015. The 2017 barrel samples show extremely well and demonstrate an uncommon polish and persistence. Upon my visit, the vineyards of Côte-Rôtie were lush and vigorous after particularly heavy rains in France earlier this year. But the mistral breeze from the south reliably dries out the moisture on the surface and the "roasted slope" earns its namesake every summer. Kévin Garon feels that it's beneficial to start the season with a good supply of water in the soil so the vines can better withstand the heat stress that the summer often brings. The foliage looks pristine and seems like the vines should have no trouble setting healthy grapes.